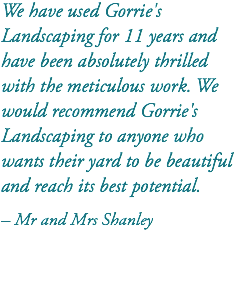 Gorrie's Landscaping is proud to be one of Rhode Island’s premier commercial landscaping companies. Whether you need detailed landscaping, routine maintenance, or a fully customized landscape project, Gorrie's can meet all of your commercial landscaping needs. Our services range from the design and installation of drainage systems, installation of patios and walkways, planting of trees and beds, to the design and implementation of large-scale landscaping projects. Our design team constantly explores new and innovative ways to create landscapes that will capture the eye and create multi-seasonal interest. Materials are chosen that not only define and enhance spaces, but that give each property a distinctive character.